The Internet of Things (IoT) is not about the Internet. Many IoT devices don’t even connect to the Internet. IoT is really about enchanted things. Things become smarter with connectivity. We know this when we are in dead zones and our smartphones and PCs have extremely limited capabilities. Basically things with a network is the same as IoT, even though the network isn’t always the Internet. Sometimes things are one device, and sometimes they have extended (networked even) components. The network part is the key to IoT. The first wave was in the 60s-80s was all about file transfer and email. The big protocols were FTP, SMTP, and POP. The Internet was far from mainstream, mostly used by government and universities exchanging information on research. The Second wave – 90s-00s was inspired by the NetScape browser which gave birth to the world wide web. The big protocol was HTTP. We discovered the Internet was good for business and headed into ecommerce. Amazon started in in 1995. The third wave – started around 2010 and continues and it’s about machine to machine. We are significantly changing what things do as a result of connectivity. Connectivity took a while to figure out because it didn’t happen overnight. The migration from modems to always-on connections took time – including the build-out of wired and wireless broadband networks. Up until recently the Internet didn’t really change business. Things like books could be purchased in a store or online. The book and the experience it delivered was basically unchanged. Then came the Kindle. This enabled instant delivery, but the real value were things like search and synchronization between devices. Suddenly book size and weight was no longer an issue either. One of the more interesting features is crowdsourced highlighting. Networks are changing the things around us. I like the term enchanted things because everyday things around us are changing and becoming magical. A mirror that tries on clothes or a pill bottle that tracks dosage. 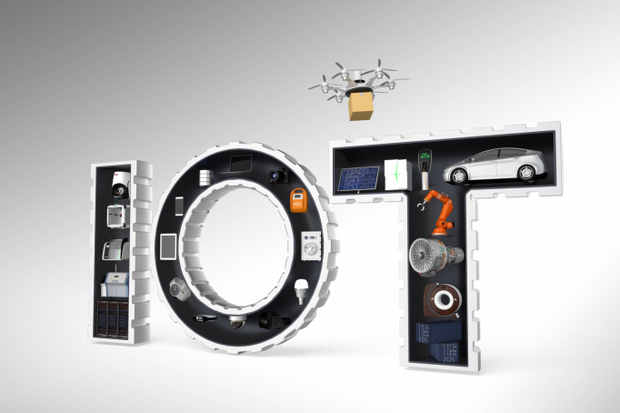 Initially, IoT was limited to computers and smartphones, but now IoT is spreading to all kinds of devices. That’s all old news, and you can read more about this transition in USA Today. On TalkingPointz you will find an increasing amount of content about how IoT will impact the enterprise and emerging business models that IoT creates. This TalkingPointz 2Pager Guide of IoT Networking options shows there’s a lot of ways to connect a thing. It covers Ethernet, cellular, Bluetooth, and other connectivity approaches. A misnomer about IoT is that it requires Internet. Certainly the Internet adds value, and most things get there one way or another, but direct Internet connectivity is not always practical. Luckily networks have been around much longer than the term IoT and there’s plenty of mature technologies available to facilitate connectivity.